Understandably we are always there to help. What we found next was very surprising to say the least with the issues of fixed strategy "locked" control systems and poor installation. 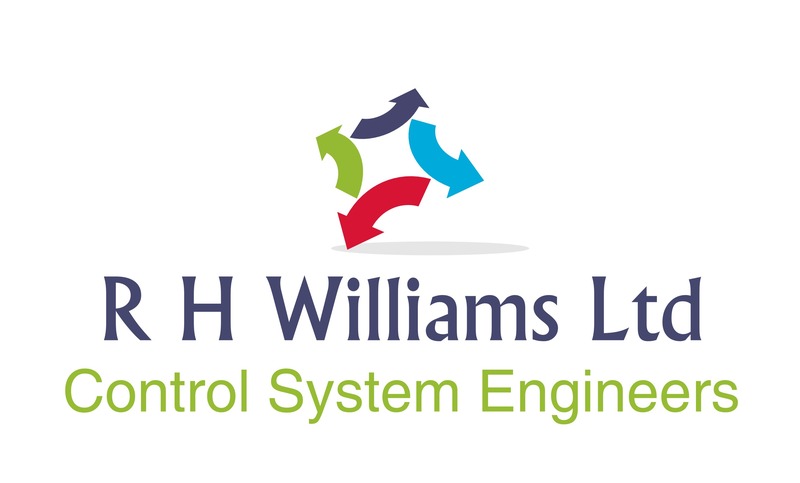 Three new packaged control systems installed with wireless connectivity made connecting to the clients existing Wi-Fi network a breeze, a few settings on their router and remote support enabled. 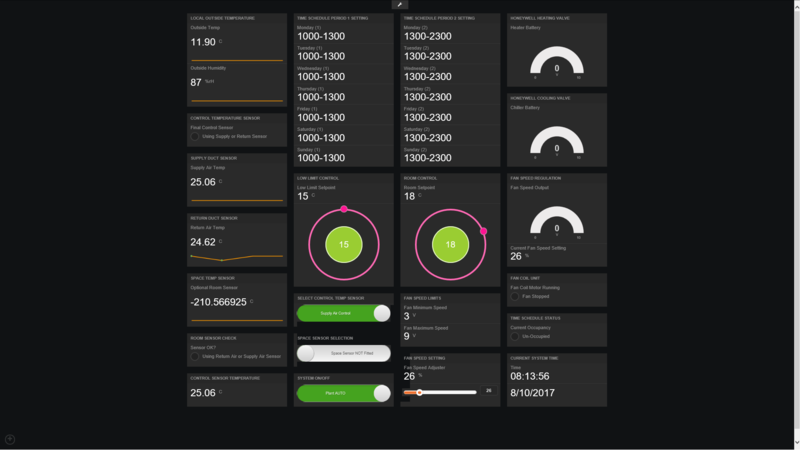 After a few weeks of running the new control systems the client reports for the first time in years his customers are happy and the system with user-friendly dashboards gives him the flexibility and control he needs. 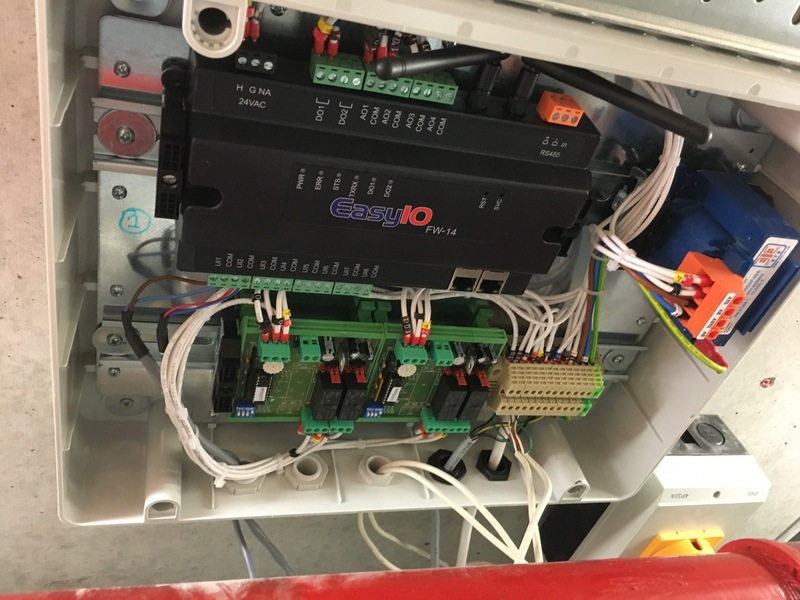 With the additional sensors installed, it was easy to understand why the client had problems, which now using a flexible controller the systems can be tailored to suit the site and the end-user's requirements. Using open-systems really makes sense, the engineering tools are free and the technology the best in its class. System now supported remotely using smartphone, tablet, laptop or desktop PC. 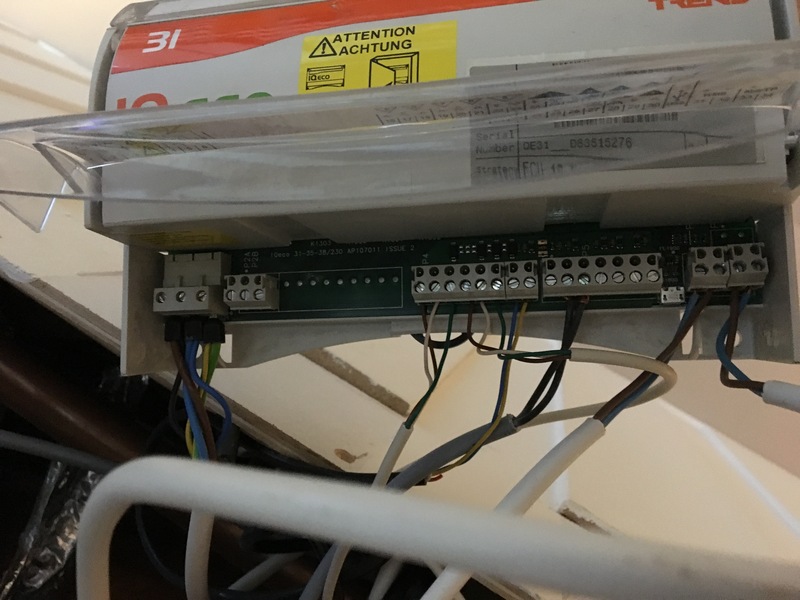 Trend IQ-eco fixed strategy controller, literally thrown above the ceiling with 240v applied!